ARCH GROUP Building Company was founded in 2007 with a single mission: to provide our clients with exceptional work each and every time. When building a new home from the ground up or renovating the home you live in, we assembled the best team of highly skilled subcontractors and trusted vendors to meet and exceed your expectations. We build each home closely working together with architects, engineers and designers. AIA industry-standard contracts guarantee full transparency during the progress of a project. Together, we'll navigate the entire home building process to ensure that your home reflects your vision. With us you’ll get the results you expect on time and budget. With years of experience in projects large and small, we have the expertise and the desire to help you succeed. Building your home should be a wonderful journey of inspiration and collaboration. Vital Habitats is dedicated to creating beautifully-crafted, enduring, sustainably and scientifically sound homes with so much care and love that they are the absolute best they can be. Within Budget. On Schedule. At the heart of all our services is a love of design, sound financial management with full transparency, and fun, collaborative experiences. We provide stand alone high-quality construction management for new construction or renovation as well as integrated design and build. Our founder, Kimberly Eads, has experienced construction from all perspectives. As an owner's representative, construction manager, architect's consultant, developer, financial manager and contractor. With the benefit of these different viewpoints, we know our value is in creating the finest experience for our clients. The Hampton's market has an abundance of quality craftsmen and professionals but very few can bring them all together in a caring, financially sound way that fully respects and integrates design and construction while focused on creating fun client experiences. If you are look to build or design your dream home, you came to the right place! Give us a call today at (631) 449-7347 or click the "Contact Me" button to send us a message. We look forward to working with you! For three generations the Forst family has grown to be a successful design/build firm because we stood behind all that we have done. Our reputation is second to none in the industry. Our proven track record can be highlighted by the hundreds of relationships that we have fostered over the years. Most of our business is based upon referrals or repeat clientele. We are dedicated to a hand-held building experience from conception to completion. Our system has proven to be easy, fun and customized to each client’s needs. Value, quality, on-time deliveries and satisfied customers is what sets us apart from other companies. Anyone who knows me knows that I am a man of my word. When you choose Forst Construction to build your new home, or renovate your existing home, you are guaranteed my personal involvement in every aspect of your project to insure peace of mind from start to finish. 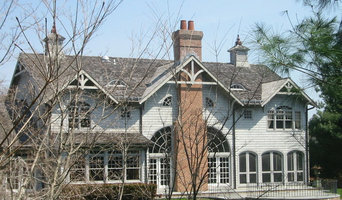 We strive to find a balance between the home, the surrounding landscape, and the lifestyle and desires of our clients. Our goal is to design homes that exceed your expectations. A balance between dramatic shapes and engineering practicality; between precision detailing and easy maintenance. In the Hamptons, the focus is often on finding the best ways to bring the impact of our breathtaking outdoor environments inside the home. The exterior design of the home is meant to be a reflection of, and integrated with, the landscape. The interior design is based on the needs and preferences of the occupants, and an appreciation of the opportunities offered by the building site. For example, we focus waterfront buildings on the views, trying to take full advantage of the light, the air, and the clouds over the water. We use private decks overlooking the ocean, vast expanses of windows to capture the daily changes in the light, and walkways and steps to protect the dunes. We welcome the opportunity to discuss your individual needs and design a home to exceed your expectations. 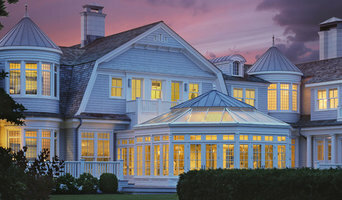 East Hampton Area's Luxury Home Builder- Family Owned and Operated! I am a hands-on designer, involved in all facets of your project. From early planning and building stages, designing and selecting all finishes for the entire project… to the selection of furniture and accessories, I custom-tailor each project for each individual client. By forming a creative team of architect, myself as interior designer/construction designer, builder, and client, I will take your ideas and dreams from concept to completion. I manage every aspect, from interior to exterior, as well as landscaping and pools. I work closely with each client to create a sophisticated, warm and functional space that reflects their individual needs and personality. 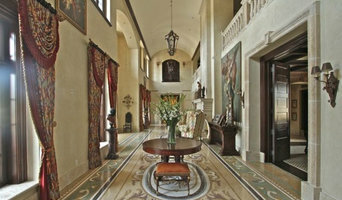 My goal is to create a timeless environment, in an organized and well thought out manor, making the process enjoyable and successful. My passion for design will make it incredible.